Florida shoppers will get a three-day back-to-school tax holiday under a bill signed into law by Gov. Rick Scott. On Wednesday, the Gov. Scott signed the bill, which also includes a handful of other targeted tax cuts. The legislation (HB 7099) permanently eliminates sales taxes charged on manufacturing equipment. Shoppers won’t pay sales tax on clothes worth $60 or less and on school supplies worth $15 or less. 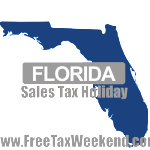 The tax holiday runs Aug. 5 through Aug. 7. Legislators scaled back this year’s tax holiday. Last year, shoppers got a 10-day holiday. Legislators also eliminated computers from the tax break and reduced the value of clothes that can be purchased tax free. Scott asked for a larger tax cut package but his request was largely ignored by the Florida Legislature. The following is a list of clothing and accessory items and their taxable status during the tax-free period. No tax is due on the sale or purchase of any article of clothing, wallet, or bag, including handbags, backpacks, fanny packs, and diaper bags, but excluding briefcases, suitcases, and other garment bags, with a selling price of $100 or less per item. (This list is not all-inclusive.) “Clothing” means any article of wearing apparel, including all footwear (except skis, swim fins, roller blades, and skates) intended to be worn on or about the human body. Clothing does not include watches, watchbands, jewelry, umbrellas, or handkerchiefs. This exemption does not apply to sales of clothing, wallets, or bags in a theme park, entertainment complex, public lodging establishment, or airport. Note: *These items are already exempt as religious, prescription, prosthetic, or orthopedic items.